I’m becoming increasingly aware of how little time left I have in Japan. And while I have done many of the things I want to there are still items on the list that have evaded me so far. Number one on the list was a visit to Hiroshima. While railway transport is very efficient and fast, the frugal me always avoided dishing out the funds it would require (about a $400.00 round trip) to get there. But fate seemed to be calling this March, because I had a lot of nenkyuu (days off) saved up and an urge to travel. So I decided to take the most cost-efficient but time-expensive method of transport there is – the Seishun 18 Kippu (青春１８きっぷ)! You can ride the trains (and leave the station) as much as you like but only local trains. You can buy the ticket at JR train stations. They’ll give you this ticket (above). Guard this with your life! It is the ticket you will use for your whole five days of travel. When you enter the station you have to show this to station worker at the gate and they will stamp it with the date and station (starting on the bottom right). After that you can exit and enter JR trains as much as you like, just show the ticket to the person working at the gate. You save a lot of money. The two days it would take to go to Hiroshima and back to Toyama would cost 4,740 yen (at 2,370 per day of use) compared to the 40,000 yen on shinkansen / express trains. It’s very flexible. No reservations or booked seats means you can change your schedule and leave the stations whenever you want. TIME. It takes a lot of time to go anywhere, of course. Via the fastest trains it would take 5 hours from Toyama to Hiroshima vs the 12 hours on local trains. No guaranteed seats. If you get in line early enough you can usually get a seat, but often at major stops there are a lot of people. It’s not a huge deal but after a day of walking around sitting down on the train is a huge relief. Great for if you are on a budget but you have flexible time. If you are going to do a long-haul trip like I did, solo is best. Early hours, long waits, long train rides, and sometimes not sitting can make a person cranky. When you’re alone it’s fine but in a group there might be some hair-pulling. Use hyperdia.com/en to plan your route. 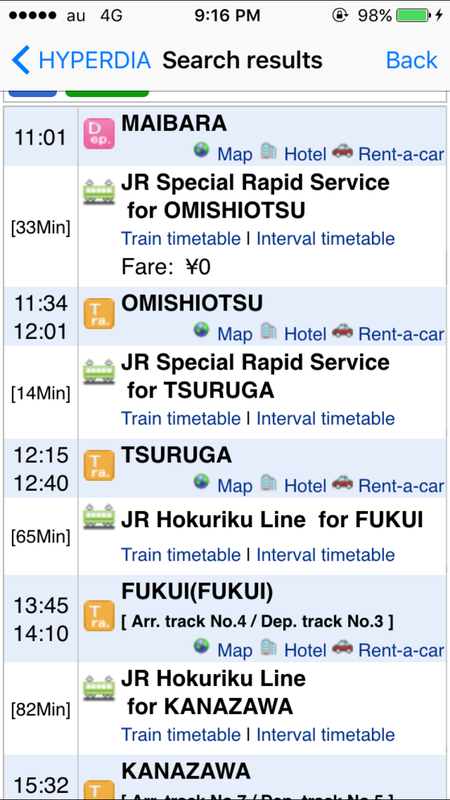 Make sure to deselect all the options except “Local Train” and “Japan Railway (JR)”. There is also a very useful app! Take really early trains and get in line early to get seats. Stop in different cities along your route! 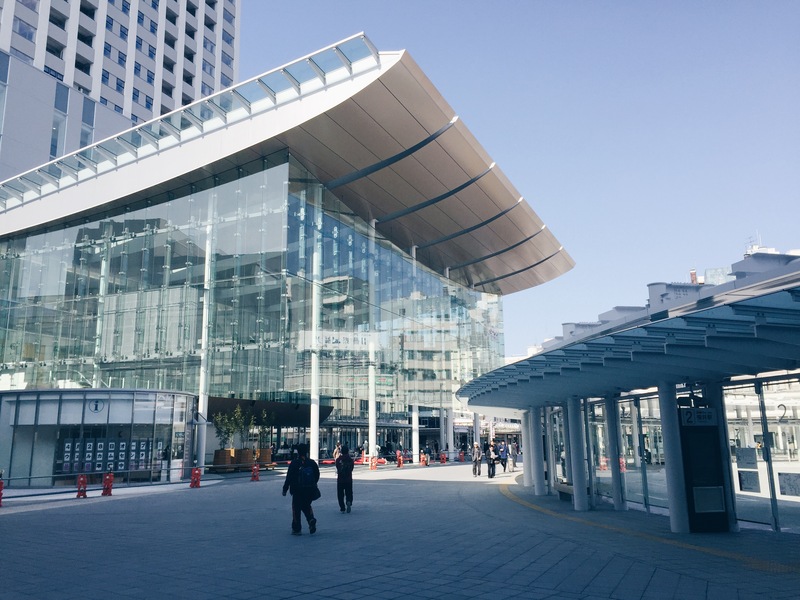 You can see a bit more of Japan and get a chance to stretch your legs. I took the long solo trip up to Hiroshima using this ticket. As a person who fixates on schedules, prices, and also loves travel stories I’m putting together a bit of a travel log (for lack of a better title) – I’m going to post a day-by-day description of my trip. I hope you enjoy it!